Applications have come to define the digital experience. They empower organizations to create new customer-friendly services, unlock data and content and deliver it to users at the time and device they desire, and provide a competitive differentiator over the competition. Fueling these applications is the “digital core,” a vast plumbing infrastructure that includes networks, data repositories, Internet of Things (IoT) devices and more. If applications are a cornerstone of the digital experience, then managing and optimizing the digital core is the key to delivering these apps to the digitized user. When applications aren’t delivered efficiently, users can suffer from a degraded quality of experience (QoE), resulting in a tarnished brand, negatively affecting customer loyalty and lost revenue. Application delivery controllers (ADCs) are ideally situated to ensure QoE, regardless of the operational scenario, by allowing IT to actively monitor and enforce application SLAs. 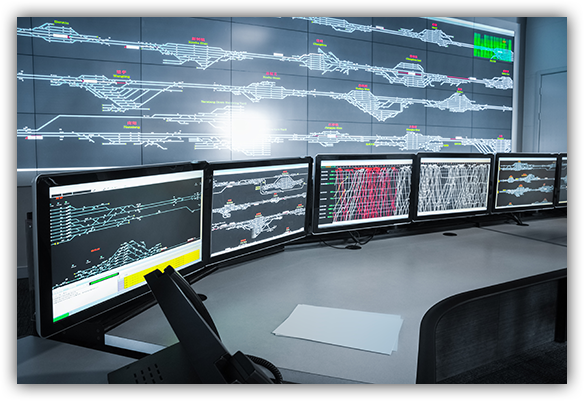 The key is to understand the role ADCs play and the capabilities required to ensure the digital experience across various operational scenarios. Under normal operational conditions, ADCs optimize application performance, control and allocate resources to those applications and provide early warnings of potential issues. For starters, any ADC should deliver web performance optimization (WPO) capabilities to turbocharge the performance of web-based applications. It transforms front-end optimization from a lengthy and complex process into an automated, streamlined function. Caching, compression, SSL offloading and TCP optimization are all key capabilities and will enable faster communication between the client and server while offloading CPU intensive tasks from the application server. Along those same lines, an ADC can serve as a “bridge” between the web browsers that deliver web- based applications and the backend servers that host the applications. For example, HTTP/2 is the new standard in network protocols. ADCs can serve as a gateway between the web browsers that support HTTP/2 and backend servers that still don’t, optimizing performance to meet application SLAs. Outages are few and far between, but when they occur, maintaining business continuity is critical via server load balancing, leveraging cloud elasticity and disaster recovery. ADCs play a critical role across all three and execute and automate these processes during a time of crisis. If an application server fails, server load balancing should automatically redirect the client to another server. Likewise, in the event that an edge router or network connection to the data center fails, an ADC should automatically redirect to another data center, ensuring the web client can always access the application server even when there is a point of failure in the network infrastructure. Application SLA issues are most often the result of network degradation. The ecommerce industry is a perfect example. A sudden increase in network traffic during the holiday season can result in SLA degradation. Leveraging server load balancing, ADCs provide elasticity by provisioning resources on-demand. Additional servers are added to the network infrastructure to maintain QoE, and after the spike has passed, returned to an idle state for use elsewhere. In addition, virtualized ADCs provide an additional benefit, as they provide scalability and isolation between vADC instance at the fault, management and network levels. Finally, cyberattacks are the silent killers of application performance, as they typically create degradation. ADCs play an integrative role in protecting applications to maintain SLAs at all times. They can prevent attack traffic from entering a network’s LAN and prevent volumetric attack traffic from saturating the Internet pipe. The ADC should be equipped with security capabilities that allow it to be integrated into the security/ DDoS mitigation framework. This includes the ability to inspect traffic and network health parameters so the ADC serves as an alarm system to signal attack information to a DDoS mitigation solution. Other interwoven safety features should include integration with web application firewalls (WAFs), ability to decrypt/encrypt SSL traffic and device/user fingerprinting. 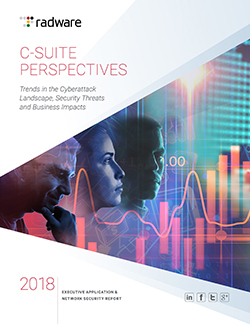 Read the “2018 C-Suite Perspectives: Trends in the Cyberattack Landscape, Security Threats and Business Impacts” to learn more. Your Service Level Agreement (SLA) is a crucial component of DDoS defenses. It is your contractual guarantee outlining what your DDoS mitigation provider will deliver and their obligation to remedy in case they do not meet those guarantees. In today’s world, digital transformation has changed how people interact with businesses and conduct their work. They interface with applications on the network. These applications need to be responsive and provide a quality of experience that enables people to appreciate the business and the services they provide. When an application degrades in performance, it negatively affects the user’s experience. This negative experience translates to lost value to revenues, brand, and worker productivity. In today’s virtualized world, organizations are looking for a single pane of glass – for visibility to user, application and network health, real-time status and performance data that is relevant. Why is this important? And how does this tie into orchestration and automation? When provisioning applications and network infrastructure on-demand, particular attention is required when responses are slowing down, so proactive monitoring is critical. It’s important to know when an application is not meeting its SLA requirements or security attacks may be impacting application performance. AND it’s important to know these issues before they become a business disruption. In Greek mythology, the Titan Prometheus was chained to a rock. Every day, an eagle flew down and ate part of his liver. The organ regenerated during the night, replenishing the food source. The liver is one of the few organs in the human body that can spontaneously regenerate. Even more impressive, is the fact that while the liver is regenerating and fixing itself, it is still functional. The ancient Greeks knew of this capability and incorporated it to their mythology almost 3000 years ago. I own a car and drive it regularly. I keep it maintained according to a schedule and make sure it is running well. To ensure that vehicles are running properly, auto manufacturers introduced the on board diagnostics (OBD) standard. Since 1996, the OBD-II standard has been required on all vehicles in the United States and Europe has the EOBD equivalent. Every year, I go to my doctor for my annual physical. My doctor goes through a standard series of procedures every time. He asks me questions about my diet and my general physical well-being. He puts his cold stethoscope to my chest and listens to my heart and breathing. He checks my blood pressure and heart rate. His lab technician takes samples of blood for tests to collect information related to organs like my liver and pancreas. He may even request tests depending on what he has learned during the exam. Later, my doctor follows up to discuss the results. Radware recently commissioned Enterprise Strategy Group (ESG) to conduct an extensive research project examining application delivery controller (ADC) trends and roles as well as the future strategies of today’s leading enterprises. Two hundred and forty-three IT professionals working at enterprise organizations (i.e. >1,000 employees and >$500M in annual revenue) have been interviewed and the results are in. Research of this scope is relevant for many reasons, but I found it especially valuable because some findings were surprising, while others, strengthened trends that were already known. It’s important to note that our survey respondents came from various industries and were based in North America and a whopping 85% stated that they make or approve purchase decisions. Last week, I was able to attend AWS re:Invent, and it was great. Not only was I able to attend one of the largest events for cloud computing, but I also learned about innovative technology powering the AWS eco-system, I met great people such as AWS customers, AWS partners and AWS personnel. Most importantly, I was there to speak about Radware’s Alteon VA for the AWS Marketplace.